Rihanna SUES Her Own Dad For Trying To Make A Come Up Off Of Her Brand + Are FENTY Sunglasses On The Way? 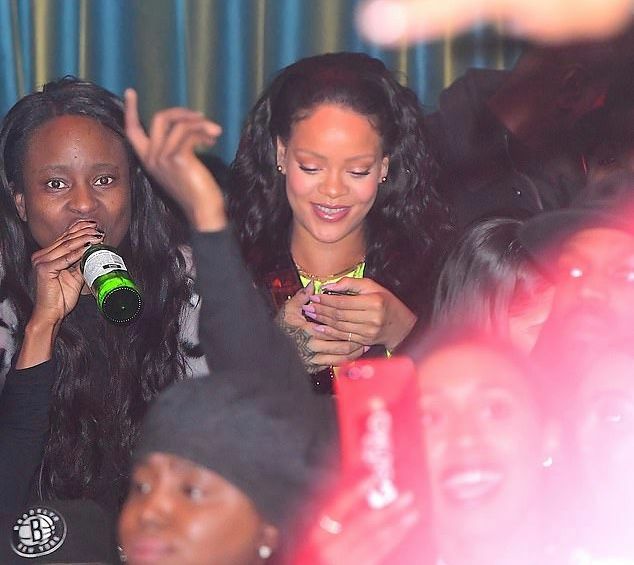 Rihanna's relationship with her father just took a turn for the worst. Find out all of the lawsuit details, plus decide iif you're here for some Fenty shades that haven't even been announced yet. 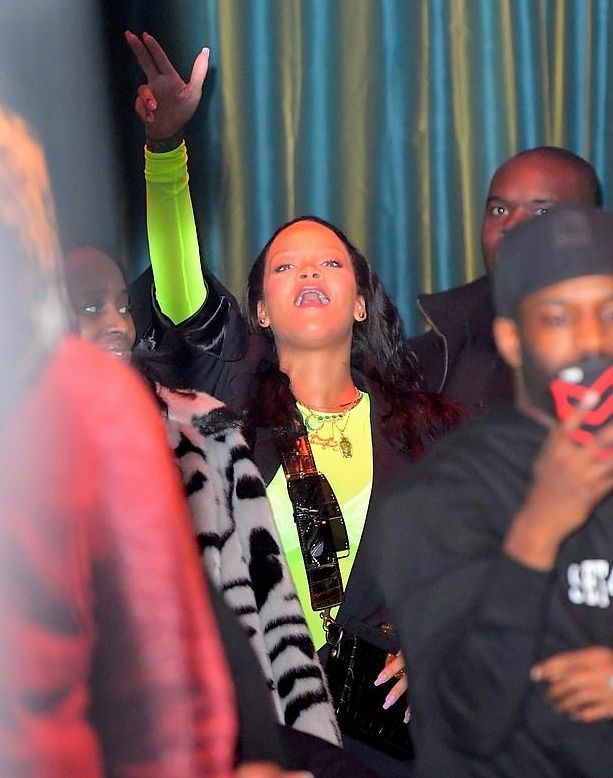 Rihanna's relationship with her father, Ronald Fenty, has gone from bad to OK to oh sh*t! Apparently, her dad has been exploiting her branded name behind her back in an effort to make a come up. But not so fast, dad. Rih isn't accepting ANYONE profitting from the brand equity she put into the Fenty name without permission. Especially after she has asked numerous time to STOP with the fake ish, only for her father and his business partner to continue. 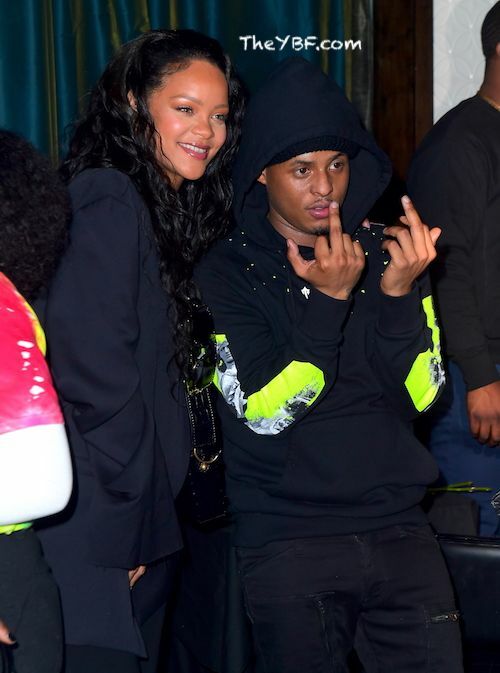 The "Work" singer has reportedly filed a lawsuit against her father, Ronald Fenty, and a company called Fenty Entertainment. Yeah, he really was out here doing the most. 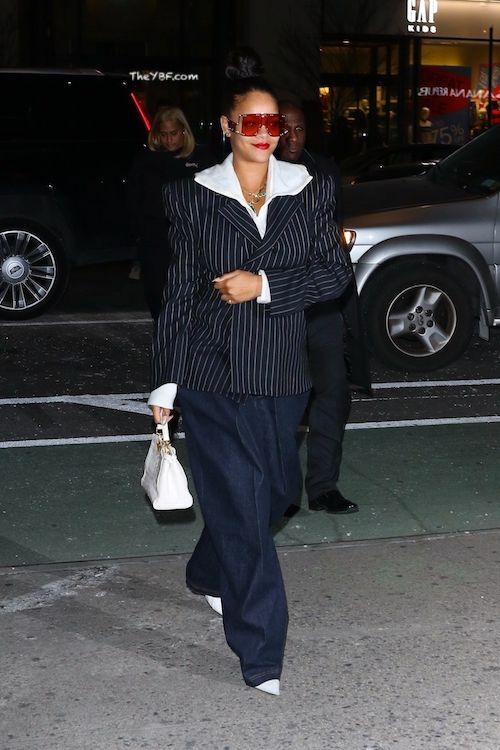 In the suit, Rihanna alleges her father teamed up with a man named Moses Perkins to create an entertainment and has "been soliciting business acting as agents of the singer." Oh, and it gets worse. Rih's dad and Moses have made bookings for a multi-million tour in Latin America and two concerts, possibly promising a pop up from Rihanna herself. They've been doing all this foolishness in LA and one in Vegas, where they would cash in a cool $400,000. Maybe Daddy Fenty feels like he owns ish since it's his last name too. He didn't stop there either. In 2018, Ronald tried to trademark the phrase “Fenty” for a line of boutique hotels, but it was shot down by the U.S. Patent & Trademark Office. Come on, Daddy Fenty! Get your ish together man. The Bajan beauty stepped out in NYC to support her friend/music artis 718 Spank for his sold out concert at the Sound Of Brazil nightclub in Manhattan. The Grammy Award winner, who's reportedly working on a new reggae album, looked excited as she shouted and sang along from the crowd. Fans went crazy in the crowded venue. After the show, the YBF baddie went backstage to hang out with Spank. The two posed for photos together before heading to the after party. 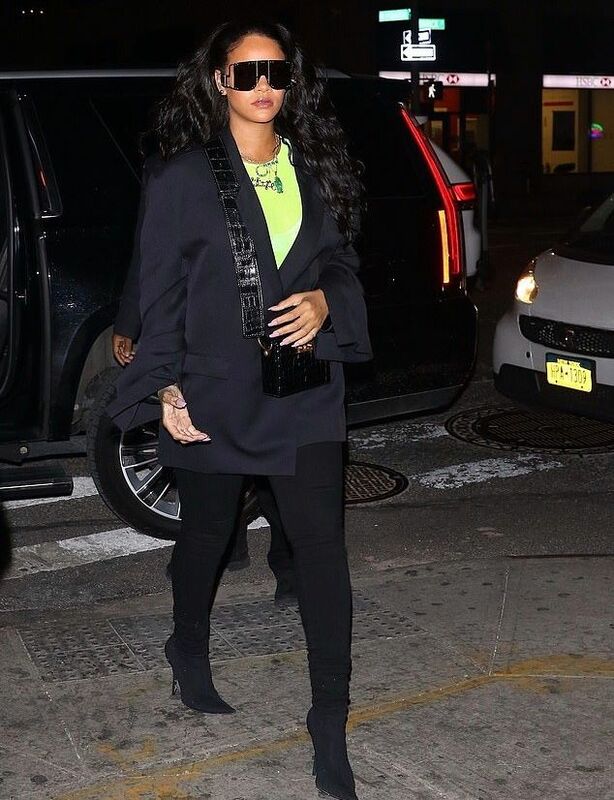 The "Pour It Up" singer served up 90s vibes in a Vetements black blazer, a neon Maison Margiela bodysuit, Citizens of Humanity skinny jeans, a lace/mesh Savage x Fenty bra, a Dior "lockbox" bag and Balenciaga ankle boots. And likely a face full of Fenty makeup. Y'all know sis loves her drank. 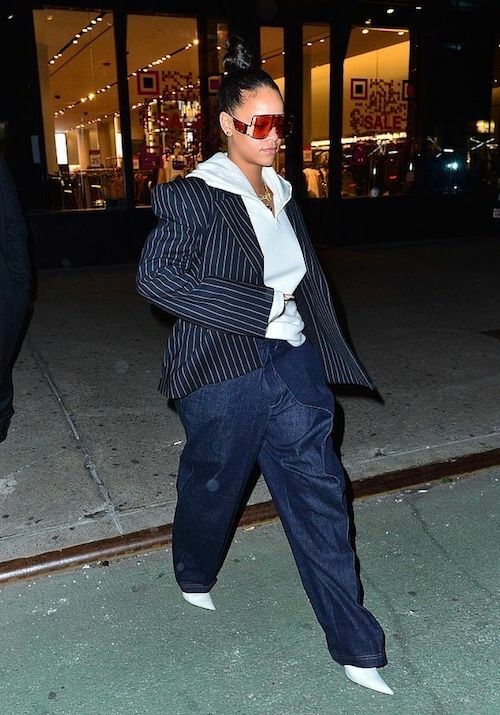 The fashion queen pulled off this androgynous look rocking a pair of mystery sunglasses with FENTY written on the side of them. They're similar to the sunglasses she wore to the 718 Spank gig. 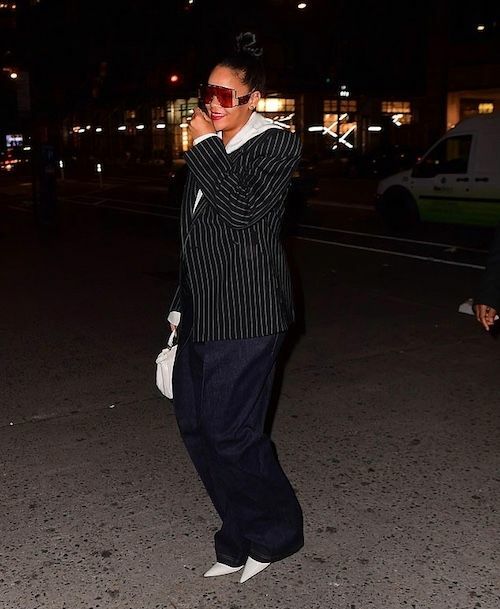 She stepped out in an oversized pinstripe blazer, wide legged jeans and a gray hoodie. She's cearly making a fashion statement with her bold accessories, i.e. her sunglasses. 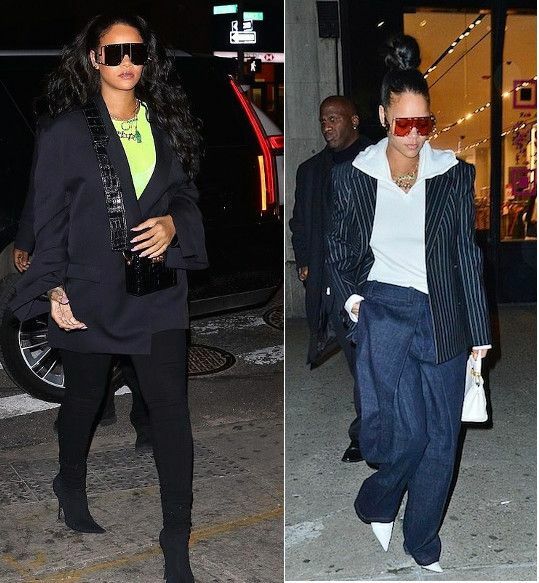 As of late, Rih has been rocking the skinny, small framed sunglasses. Now, she's all about bold eyewear. And we think she's about to drop her own FENTY line of sunglasses. Yep, gather your coins. FENTY sunglasses are coming. Fenty Beauty had all of us melinated girls squealing with joy when Rihanna released 40 shades of foundation when the line launched in 2017. Now, she's expanding. She just launched 50 shades of her Pro Filt’r Concealer and several more shades of foundation. "It's a new year. 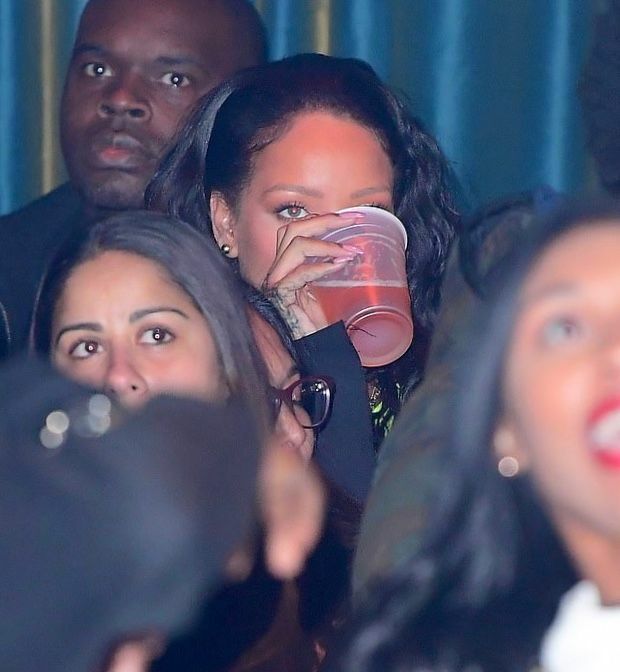 Half of y'all lookin' busted," Rih said in a video she posted on her Instagram page. "Fenty Beauty to the rescue. We are making brand-new concealer. So as long as you know your Pro Filt'r shade (referencing the foundation) we have a corresponding concealer to match. And you don't even have to figure it out."